The study is published online at the American Journal of Clinical Nutrition. It was funded by the Beef Checkoff and the Pork Checkoff, with support from the National Institutes of Health’s Indiana Clinical and Translational Sciences Institute and a National Institutes of Health pre-doctoral training grant through the Ingestive Behavior Research Center at Purdue. The study assessed the health-promoting effects of a Mediterranean-style eating pattern, without intended weight loss, for adults who are overweight and at risk for developing heart disease. All 41 study participants — 28 females and 13 males — completed three study phases. The phases included a five-week period of consuming a Mediterranean-style eating pattern containing three ounces per day of lean, unprocessed red meat, an amount of red meat the typical United States resident consumes; a five-week return to their regular eating pattern; and a five-week period of consuming a Mediterranean-style eating pattern with less red meat, three ounces twice weekly, which is commonly recommended for heart health. 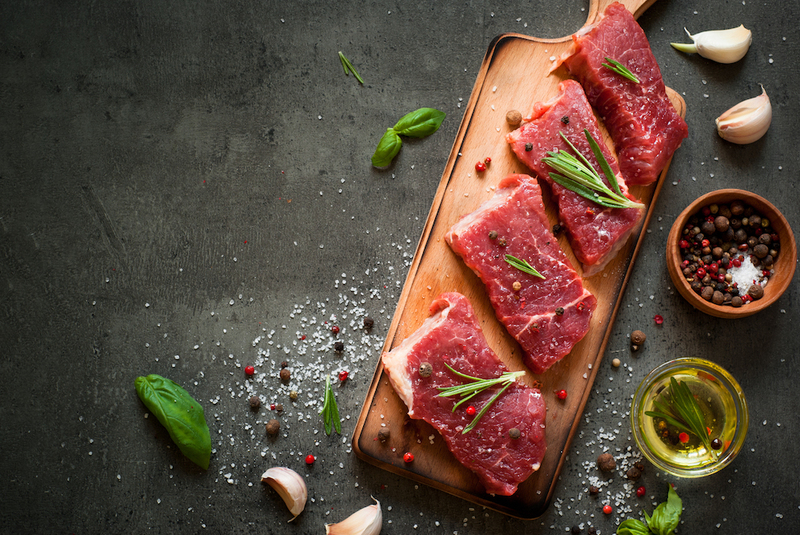 The order of the typical and lower red meat interventions were randomly assigned among participants. “It’s also very encouraging that the improvements these people experienced — which included improvements in blood pressure, blood lipids and lipoproteins — were noticeable in five weeks,” Campbell said. The Mediterranean-style eating pattern, which was ranked No. 1 by Consumer Reports, is recommended by the Dietary Guidelines for Americans. A Mediterranean-style eating pattern has clinically proven effects on health especially related to heart health and risks for heart disease such as heart attack or stroke. The American Journal of Clinical Nutrition is published by the American Society for Nutrition.